Mulching does more than add beauty to the landscape. It is an important part of the nitrogen cycle and conserves water in the soil. It has been noted that mulched land is less prone to erosion and storm water run-off pollution. The best thing about mulching is that it keeps weeds from taking over the garden bed and reduces the hours that you must spend bent over getting rid of the pests. Mulching encourages beneficial bacteria and organisms and is a great way to recycle debris or garbage. Inorganic mulches are all the rage. In a world where recycling has become more prevalent, reusing residual items is a win-win for the environment. Unfortunately, inorganic mulches do not compost into the soil and can require more watering due to lack of porosity. 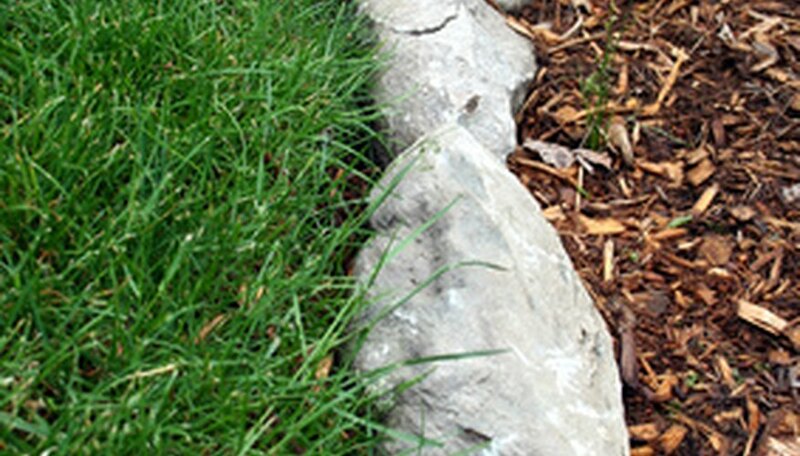 Some mulches like rubber tires release high levels of zinc and pollute the soil. Inorganic mulches should have a layer of black plastic or weed barrier between the soil and the mulch. Organic mulches can be wood chips, sawdust, grass, straw and leaf clippings. The advantages are obvious in that they keep your yard waste bin from being cluttered and no toxicity is involved. Organic mulches ensure that gardening remains a natural and safe activity. Cedar is a stringy mulch that does not compost as fast as a hardwood mulch. It is thought to have pest-repellent properties and is a very oily wood with a wonderful aroma. The color fades quite fast in the sun, but it will retain its shape for much of the season. It can be purchased in a twice-ground form that is finer and spreads more evenly than single grind. The most obvious benefits are that it is rot resistant and it seems to repel Artillery fungus, which is common in wood mulches. Hemlock mulch is a very dark bark. The tree is high in tannins so it keeps a bright red color for a long time. There is concern that the bark is poisonous. Hemlock poisoning is actually from a different species, not from the Hemlock tree. The Hemlock tree bark has many curative powers and is high in Vitamin C. The bark is sold in a super-fine, almost powdery, application that should be spread in a thin layer and watered in. Prepare the area by weeding and raking soil even. If you are mulching a hillside, a shredded hardwood is best, as it will adhere to the hill and give traction. Mulching in pathways should also have a shredded, textured mulch to gain traction. Large pieces should be reserved for ornamental areas and areas that will not be mulched annually, as they do not break down very fast. A thicker layer of the larger size mulch is fine since air and water will pass between the pieces. A thinner layer is required with very fine mulches since they compact and retard the passage of moisture. An approximate average measurement is 3 inches deep across the bed. Avoid getting too close to tree trunks and plant stems. Computing the amount of mulch you need is a quick process. Multiply length times width to get the area. Then multiply the depth you will be spreading it to by the area and you will have the number of total feet squared. If you are ordering by truck delivery they can convert to yards for you or you can read the number of feet squared a bag will cover and figure out the number of bags from there. It is better to have too little than too much, since you do not want heavy application.